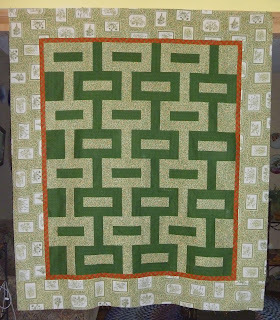 but at about 1:30 as I was thinking about the person this quilt is supposed to go to I remembered that one time she said she likes green. 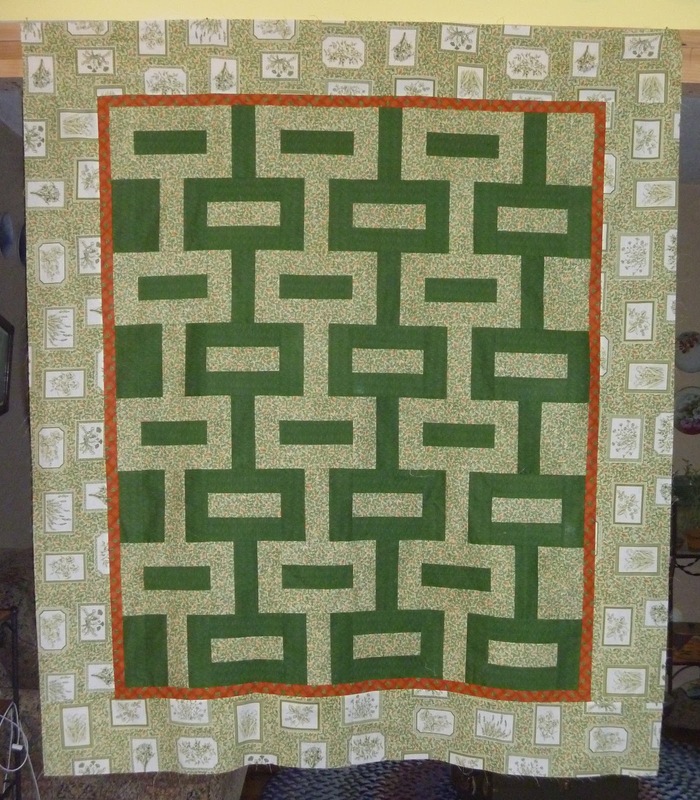 One of the first groups of fabric I considered was a group of greens but I didn't have a plan. But yesterday when I stopped at a local quilt shop for thread I saw a quilt that was very simple but striking. The more I thought about it, the more I liked the idea of using that pattern with that group of fabrics. As I said, it was very simple - strip pieced rail fence blocks - and it went together very fast! By 5 pm I had this to show for my labors. I am very happy with this and hope to get it basted and maybe quilted tomorrow but definitely on Monday. It needs to be done before I head to my quilt retreat. If I work hard I might get the other top done too. For now, I am going to finish my margarita and maybe finish an owl hat too!